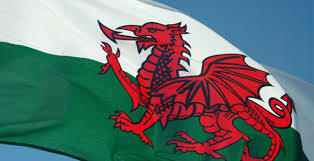 Welsh is a popular subject in Ysgol Clywedog as virtually all our students study the native language. The exceptions are “latecomers” who arrive from outside of Wales with no previous knowledge of the language when they are reaching the end of Year 9 or older. Only a small number of our students speak the language fluently and so Welsh is taught as a second language to complete beginners and to those who have some previous knowledge. The department prides itself on being totally inclusive and believes passionately in offering the opportunity to study Welsh to all students, regardless of background. We always aim to build on the excellent work which is done in our feeder primary schools and develop each student’s ability to their full potential. During Year 7, students are taught in their form groups and so are mixed ability classes. In Years 8 and 9 there is some broad setting according to ability. At Key Stage 4, ( Years 10 and 11 ) the vast majority of students follow a Full GCSE course, which is modern and especially suitable for future employment. The Short Course may be more appropriate for some and the decision about this is made at the end of Year 9.